A shorter version of our annual Books of the Year round-up, for the summer months, since there are a few lists floating around at the moment. First of all, of course, are our own summer reading suggestions: for teenagers, for adults (and the extended version is here, including past editions). One that didn't make it in on time (review coming soon): The Boy Behind the Curtain: notes from an Australian Life, Tim Winton's superb collection of essays. As Roger Cox in his Scotsman review says, it's " a book that grabs you by the scruff and forces you to take a good, hard look into the author’s soul." The English & Media Centre has a good list of recommended reads, with Young Adult books, including Sara Baume's latest, A Line Made by Walking. In the young adult section, Daniel Pennac's The Eye of the Wolf sounds interesting. 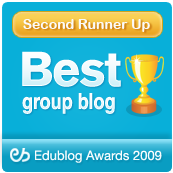 The Irish Times gathers writers such as Anne Enright, Joseph O'Connor and Anne Emerson. Claire Kilroy recommends John Banville's memoir Time Pieces. The Guardian has two bumper lists from authors: part one and part two. Several writers recommend the latest novel from Colm Tóibín, his version of the story of the House of Atreus, House of Names. There's also this shortened list, "If you only read one book this summer … make it this one"
The TLS's list has plenty of ambitious reading. 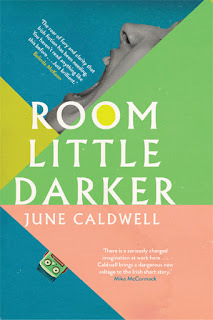 Ian Sansom writes that "June Caldwell’s first short collection, Room Little Darker (New Island Books), promises to do for the Irish short story what Jeremy Corbyn has done for the Labour Party" which gets the award for most opaque comment of the summer. The New York Times has Books to Breeze Through This Summer by Janet Maslin. No One is Coming to Save Us by Stephanie Powell Watts sound intriguing: "Set in North Carolina, Watts’s book envisions a backwoods African-American version of The Great Gatsby. The circumstances of her characters are vastly unlike Fitzgerald’s, and those differences are what make this novel so moving." PBS in America has "19 summer books that will keep you up all night reading". Louise Erdrich rightly goes for the brilliant Donna Leon Brunetti series. The Washington Post has 37 books on its summer list, with links to the original reviews.